The Cyprus house price index (HPI) rose by 0.6 per cent in the second quarter of 2018 and by 1.2 per cent on an annual basis according to a preliminary estimate by the Cyprus Statistical Service (CYSTAT). THE CYPRUS Statistical Service (CYSTAT) has announced that prices for houses and apartments in Cyprus rose by an average by 0.6 per cent in the second quarter of 2018 compared to the first quarter in its latest House Price Index (HPI). 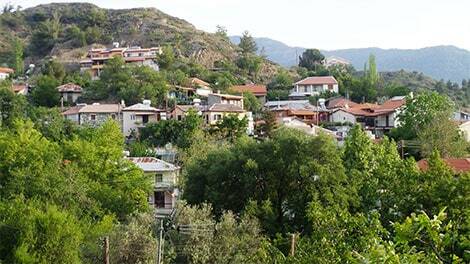 The HPI also reports that residential property prices in Cyprus have risen by 1.2 percent on an annual basis. According to CYSTAT’s press release, the Cyprus House Price Index (HPI) “is a quarterly index which measures the change in the average prices of residential dwellings. It captures all types of residential properties, both new and existing. The land component of the residential property is included. There is a break in the series in the first quarter of 2015 due to redefinition of the model variables. The villa I bought in 2001 for €400k is now worth about half the value, about €200k. The house I sold in the UK just outside London in 2001 for £330k is now worth (according to Zoopla) close to £950k and approaching 1m. So the question is will my Cyprus villa ever recover its value? I doubt it. Property in Cyprus has to be a home and never an investment. You can expect the value to drop. Ed: I expect the values of property will recover eventually. I’m surprised to hear that the €400k property you bought in 2001 is now only worth €200k. Like myself, you bought before prices went mad and your house should now be worth more considerably more than you paid for it.